With Christmas over and the New Year approaching the world is getting some rest between the two holidays. The same goes on at AITOC’s support department: there are very few tickets, there’s time to look back at the past year and draft some resolutions for the upcoming year. But on December 30 three customers submitted tickets with complaints on Delivery Date extension. You may read more about the extension itself at https://www.aitoc.com/en/magentomods_delivery_date.html. To summarize, it adds a date selection field at the shipping method step. It uses a simple input and a slightly modified calendar from Magento back end. All customers described a very similar problem. Some use the module for more than one year. Here’s the problem: it is impossible to select any date in the calendar, and the default date is set to December 30, 2014. Windows calendar still shows 2013. If the date was just skipping a year, it wouldn’t be so critical. The problem is enhanced by the fact the dates in the vicinity of December 2013 and January 2014 are inactive. First we assumed that the date format in the module was set up incorrectly. Maybe this causes the day and the month switch places and the wrong final date is displayed. But this is unlikely, because in this case the problem would have been evident earlier. We still check, the format is mm/dd/yyyy, as it should be. In one of the tickets the customers says the same problem occurred last year, but it was fixed. Great, we can apply the same fix now. We search the support archive. Indeed, there are a few complaints submitted on December 31, 2012. Also Monday. Also right before the New Year. But back then it was a country-wide day off, so our support department could only address the problem on January 2, 2013. The error was no longer reproduced by that time. So there was no solution last time the error occured. We start looking for what causes the problem using debug. JS is responsible for displaying the calendar. It is the same one as in Magento back end. It’s unlikely that Magento would have such an obvious bug with dates. So the problem should be somewhere in the settings. We try to manually change the date in input, but it is still being changed to the default December 30, 2014. Again we turn to Firebug to see the server requests. There are a few requests to check the date. As we can see, the date is invalid (sure thing, delivery in a year from the order date is not the best idea). The first valid date is indicated as December 30, 2014. Great, we found the trace of the problem. We check the controller to find out where this date is set up. Strange. 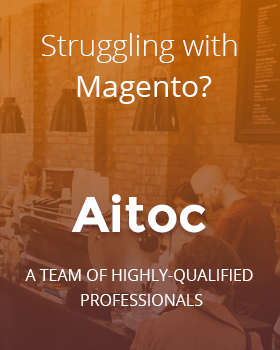 We’d never suspect a Magento’s standard function to be the problem. Especially given that it has no problem with day and month. In theory, it should return the same result as date (“Y”), but take into account the time zone of the Magento installation and the server. Could it be that it adds a year when adjusting for time zone? We look deeper into Zend Date. Great, we found the source of the problem. Now it’s clear why the error occurred on this specific day. This week is assigned to 2014. Now we have to figure out why the substitution happens. Now we need to find the place in parseIsoToDate method where ‘o’ is introduced. What does YEAR_8601 mean? We use Y, which is seen by PHP as regular year, not the 8601 format. We look into class constants and find all the year constants. So Zend sees Y as 8610 format. Lowercase “y” stands for a regular year (and it is interpreted by PHP as short year). And to get the short year, Zend needs “yy”. This is quite illogical. And it differs greatly from the syntax of the date format of the date function. The solution seems obvious now. We go a few steps up and change the capital “Y” to a lowercase “y” in toString. And rejoice to have a well-functioning module again! During the debug there were a few more tickets reporting the same problem. We change one letter and report the issue as fixed. Conclusion. Third-party libraries don’t always simplify the developers’ work. Often libraries introduce their own formats that differ from standard PHP formats. Zend recommends not to set date format by string, but instead use class constants with ready formats.